We had our first lake effect snow today so there is a winter wonderland outside. Last week it was just fall and I like to get out and drive around the back roads near my home. 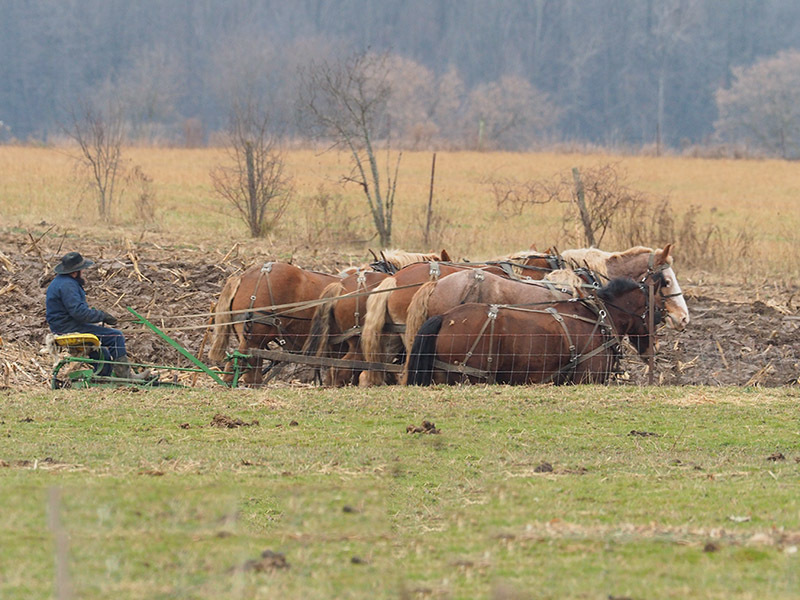 The area just south has a large Mennonite community and the farm community is preparing the fields for planting. 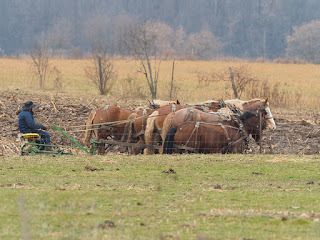 I saw this wonderful 5 horse hitch plowing a field, it is great to see a working horse hitch of large horses. The team was dominated but a large horse in the center position. I didn't notice right away but there was only one set of reins for 5 horses. 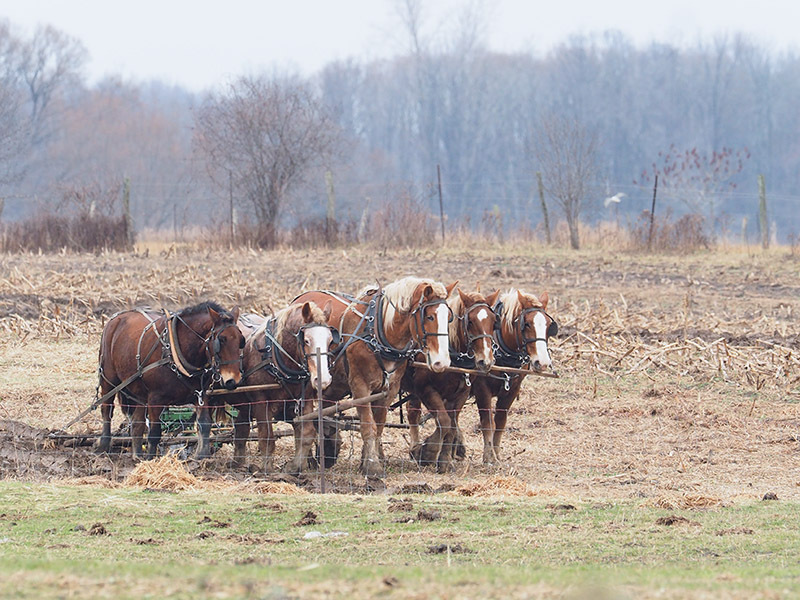 The large center horse was the guide to the other four, who where hitched to follow it's movements. Very interesting to watch them move as a team.